A panic has probably set in. You won’t have the time other teachers normally get to prepare their classrooms, set up procedures, and plan good lessons. You’re jumping onto a fast-moving train, and it won’t stop until the year is over. I started my first teaching job in January of 1996. The previous teacher – a first-timer herself – had decided teaching was not for her. And when I learned more about my schedule, I could see she had her reasons: Three periods of sixth graders and one period of eighth graders, each one held in a different teacher’s room during their planning period. I didn’t have my own classroom; just a cart I wheeled from room to room and a small desk in the corner of a supply room. I have definitely been where you are. So here’s my advice to help you navigate the rest of the year with your sanity – and your desire to teach – fully intact. As you rush through these first few months, having a healthy mindset will help you prioritize, work effectively, and deal with the inevitable setbacks that will come with this position. Trust me, the people in your building are thrilled to have a living, breathing human filling the vacancy left by your predecessor. The fact that you’re here means administrators don’t have to spend more time interviewing, other teachers don’t have to cover your class, and students don’t have to suffer the unpredictability of a long series of subs. Unless you’re a complete train wreck or the school is staffed with exceptionally unreasonable people, your administrators and colleagues will be happy with you as long as you do two things: (1) maintain reasonable order in your classroom, and (2) cover the basic curriculum. So cut yourself a lot of slack. Remind yourself every single day that what you’re shooting for is good enough. Expect things to go wrong, and when they do, address them with those two basic goals in mind: reasonable order, basic curriculum. This is not the year to master differentiation. This is not the year to excel with technology. This is NOT the year to design a gorgeous classroom. Teach your students something worthwhile every day and make sure they don’t hurt each other, and that will be enough for now. But pay attention to the ways you can improve. Right away, set up a “next year” file, where you can deposit notes and ideas on the things you want to do next year. These ideas can range from small decorative things you notice in other teacher’s classrooms to instructional strategies you want to try. You won’t have time to implement most of them this year, but keep track of them for later. One of the biggest mistakes you can make as a new teacher is to pretend you’ve got everything under control. Your colleagues are a rich source of information and they want to help you, but most won’t give you more than a quick “Let me know if you need anything.” They’re busy. Or they’re shy. Or they don’t want to make you feel incompetent by being overly hand-holdy. It’s up to you to seek out the help, to ask lots of questions, and tell someone when you’re struggling. So when the teacher across the hall pops her head into your room and asks how things are going, do NOT say fine. It’s not fine, and you know it. This doesn’t make you defective. It makes you normal. So ask the questions. Keep a sheet of paper on your desk or folded inside your pocket, and all day long be writing down the questions you need answers to. Then ask them. And if the answer doesn’t make sense or the person you ask isn’t particularly helpful, ask someone else and avoid that person from now on. Don’t worry about being annoying. You’re new. You’re supposed to be a little needy right now. Because you’re showing up mid-year, people will forget to tell you things that would normally be included when orienting new staff, so just when you think you’ve got things under control, something will change. Like this: On your third day of teaching, someone may show up at your door to pull a student for special services. Apparently, this happens every Thursday, but no one told you. Or this: Right when you’ve gotten your students started on a great new activity, you hear a commotion in the hall — everyone’s on their way to the monthly pep rally! Except you had no idea there was a pep rally, because no one told you. Don’t take these oversights personally or get overly rattled by the unexpected disruption. It’s impossible for everyone to remember to tell you everything, and you can’t ask about something if you’re not even aware of its existence. Get into the habit of shrugging stuff like this off. Without that ability, you’ll find yourself looking for a new job before the year is over. Step 2: Do some reconnaissance. School rules: Read the school rules and discipline plan, then ask another teacher to tell you what they think are the most important things to know about it. Then have the same conversation with a different teacher. If the two teachers’ interpretations of the discipline plan differ, go to your administrator and do one more final check. Although the discipline plan appears to be in black and white, every school has its own way of interpreting their plan. Where to make copies and what the protocol is: Do people generally allow you to ‘cut’ into longer projects to make single copies? Where do people put anonymous left-behind papers? Emergency procedures: Find out what the plan is for fire drills, lock-downs, and severe weather situations. Get a copy of the standards and curriculum that apply to your assigned position. Figure out where your students are and what has already been accomplished that year. If the former teacher isn’t available to tell you, your next best source of information is another teacher who teaches the same thing, or something close to it. If no one knows, ask the students. If necessary, create a basic pre-assessment to see what the students know. Depending on how complicated or messy the situation is, you may just have to pick something and go with it. Step 3: Do a bare-minimum classroom setup. A spot on the board for you to write the date, the day’s agenda, and any homework that you’ll assign. Try to keep this place consistent all year, so students get into the habit of looking there for that information. A place for students to hand in papers. Some basic supplies — something to write on the board with (whatever kind of board it is), a pen and scratch paper for you to take notes to yourself, extra pencils and paper for students who don’t have supplies, and a box of tissues. Textbooks, workbooks, or other curricular materials necessary for getting work done. A basic familiarity with how your classroom technology works: How to turn on and perform basic functions with the classroom projector, document cameras, interactive white board, and student computers (if any). Step 4: Establish classroom rules, consequences, and procedures. In the first few days, it’s essential that you establish rules, consequences, and procedures. Because time is scarce, your goal right now should be to get something in place that works, even if it’s not perfect. If the former teacher already has a system in place that you can live with, go with that. Ideally, learn these procedures from the teacher personally. Or have the students show you. Even if you think you’d probably do it differently, if the system in place works okay, just go with it for now. If the former teacher’s plan is not an option, your second choice would be to find another teacher in the building whose system you like well enough and just copy what they do. Be transparent about this with the teacher and your students: Just tell them you’re going to use Ms. ______’s system for now and maybe you’ll adjust it later on. Treat each other and our classroom with respect. Have something quiet for students to do the minute they walk in the door: a warm-up, bell-ringer, or a journal activity. Have the day’s objectives written clearly in a place where all students can see. Have students write down the daily agenda and homework as soon as they arrive and set up a system for checking that they’ve done it. Explain what students need to do if they need to sharpen their pencil, go to the bathroom, ask for help, or turn in papers. Although this is listed as the last step, it’s one of the most important. Building relationships with students, co-workers, and parents is the key to making your work more satisfying. Make building relationships with your students a top priority. Getting to know your students is the foundation for more effective classroom management, more personalized instruction, and greater student achievement. One way to build relationships quickly is to give students a “getting to know you” survey or questionnaire. If you don’t already have one, take a look at my Student Inventories. And once you’ve collected information on student interests, home life, learning preferences, and other facts, keep track of it all using something like my Deep Data at a Glance chart, so you can access the information quickly and determine which students you need to spend more time with. If your administrator isn’t on board with this priority and wants you to devote most of your time covering the curriculum, you might share this list of Influences and their Effect Size on Student Achievement, from John Hattie’s 2008 meta-study Visible Learning . Out of 138 different factors influencing student achievement, the teacher-student relationship was near the top, showing a greater impact than time on task, cooperative learning, and socioeconomic status. A strong relationship with your students will pay off over the course of the year, so invest some time now in getting to know them, and helping them get to know you. While you’re at it, spend some time getting to know your colleagues as well. Start by finding one or two positive, supportive teachers who seem to really love their jobs (around here, we call these people Marigolds), and spend most of your time with them. Other key staff members to get friendly with are the school secretary, the librarian, the cafeteria staff, the technology coordinator, the guidance counselors, and the custodial staff. You’re going to have lots of questions for all of these people, so be sure to get off on the right foot by introducing yourself before problems arise. Meanwhile, be friendly with everyone else. Your new position is kind of an extended job interview, and if you prove yourself to be competent in the remainder of this year, your chances of getting re-hired the following fall are much greater. Here’s a little trick to make all of this easier: Borrow a copy of last year’s yearbook, and make sure you can keep it for a couple of months. This will be an invaluable resource for matching faces to names — for faculty and staff and for students, if they attended your school last year. Some personal information: a photo of yourself, information about family, pets, hobbies, favorite TV shows, movies, food…help them get to know you as a person. What you need from them: Let them know you are open to feedback and are available for conferences when they request them. Before you send the letter home, ask your administrator to approve it. Do this for two reasons: One, it will ensure that your letter doesn’t contain anything your administrator wouldn’t want you sending out; as a new teacher, you may not know exactly where the line is. And two, the initiative will really impress your administrator; since your future in this school may not be secure, you need to shine a spotlight on the good things you’re doing. Once you’ve been teaching for about a month, send home another letter to let parents know how things are going, what changes you have made, and what’s coming up. Don’t engage in negative conversations about your predecessor. If students or co-workers want to share information, go ahead and listen, but it’s unprofessional to position yourself as the new and improved one in contrast to the one who left. It’s not great karma. Just think about how you would want people to talk about you after you left a job, regardless of the situation. If your students are just hog wild and you can’t get them under control, take a look at my video on using a notebook to tame an out-of-control class. Setting up a consistent system of rules, consequences and procedures is much better and longer-lasting than doing this, but in an emergency, the notebook strategy works pretty well. Thank you, Jennifer! I appreciate this post, as I have done just that – started teaching two weeks ago, which feels like trying to run in heavy rubber boots next to those sprinting along in their Adidas Supernovas. The “notebook” strategy does work; I used it this past week. I got a very supportive response from my parent letter, and found my marigold just next door (how lucky is that?). I would suggest making friends with the librarians; they see and know every student and faculty member, and can offer much more than help finding materials. That is an excellent suggestion — thanks for adding that. I really appreciate you taking the time to write and let me know these ideas have worked for you. Such an awesome analogy, the rubber boots thing. It’s so true, isn’t it? Just wait until next fall — all that heavy weight will be off your feet and you’ll feel light as air. Stay in touch and let us know what else is working for you as the term progresses! Thank you, Jennifer; I will do that! That was me last year. I started the last week of September, and they had had different subs for weeks at a time. Not to mention that for this particular class a group of boys with behavior problems since Kinder managed to all be in the same class together. The “not telling me things” was the one that got me, because I was able to get my classroom management under control, and even push through several IEPs that needed to be done since Kinder for these kiddos, and I even managed to get better scores than when I was student teaching–but nobody bothered to tell me important things nearly everyday. In hindsight the thing that got me through was trying to be consistent with them everyday. Without that, I couldn’t get any relationships started-they felt so abandoned by their teacher, subs, everybody. And, I got to know my parents REALLY well. I sent home newsletters, notes, invitations for field trips, volunteering. I opened my room to them so when I need to make phone calls about behavior it got taken care of right away. Or when I needed to make referrals for counseling and IEPs they were open to what I had to say. This is SO helpful!! I started a month into the school year..it’s been a few weeks now and I’m slowly finding my way, but the amount of things to learn (while teaching every day) is overwhelming. This list really helped me prioritize! It will definitely be a weekend project, but I think it will be worth it. This article was perfect. Just what I was looking for. I start tomorrow and I am super anxious, but your article broke it down simply for me. Before that I was kind of all over the place. Thank you so much Jennifer for taking the time to put worthwhile material out there. Wow! Thank you! I was hired yesterday and I start there next week. Fortunately my principal wants me to take at least a week to study curriculum, prepare, plan, acclimate, and learn as much as poossible before starting with the kids the week after. Everything you said is SO true! I stepped in for a teacher’s emergency medical leave last April. She was physically unable to talk to me so I wasn’t really a sub following instructions. I was the full on teacher for the last 6 weeks of school. Your list is a God-send. I’ve been trying to reflect on what I learned through that experience but I think my panic was getting in the way of clear list making. Your list of tips will be my rubric for the next few months. Thank you for putting it all into precise and accurate words. And reminding me, once again, that teachers are the most generous people in the world who thrive on sharing knowledge and experience. I will be a loyal follower of your site from now on! Rebecca! I’m so glad you found this and that it’s helpful! Good luck over the next couple of weeks, and BIG congratulations on the new job–your students are so lucky to have you coming in! Thank you so much, Jennifer! I found out on Tuesday that I would start teaching tomorrow, and I feel super nervous! I definitely appreciate reading your article and the comments below it; they show that other teachers have done the exact same thing and made a successful year out of it! Now to go Marigold hunting . . .
YAAAY! So excited for you!! Come back and tell me how it goes! My first year, I had done several long term sub positions, with the final one being in a new school from April-June. These 10th and 11th graders had been with day-to-day subs for the entire third marking period. And apparently their old teacher had left under some pretty crazy circumstances and hadn’t been doing much with them to begin with. So when I got there first day, the kids were remarking about (and mocking) all of the pictures of airplanes around the room (apparently she was an enthusiast and had them EVERYWHERE). That very afternoon I stayed after school until 6PM taking down every last plane picture (while trying to preserve them intact in case the teacher came back!). The students were amazed when they came in the next day and I said “No more planes. Now this is YOUR space to decorate. Bring in pictures of yourself or things you like to hang on these cabinets.” As a first year teacher, I’m not sure how I inherently understood that this was the most important thing, but somehow I did, and those kids were loyal to me from day two. I have been teaching for 14 years but recently move to a new state. I am starting a second semester sub position right after Christmas break. I have never subbed or started mid-year before so I randomly googled it and your post popped up! Thank you! I am super excited but nervous about establishing relationships and order/routine. I’m a teacher leaving the classroom midyear for a new position in Central Office. I’m excited, but also want to try to make the transition as easy as possible for my students and the new teacher coming in. Any tips? Crystal, the first thing that comes to mind is that you should make sure to go beyond general offers of help. So many people in mentoring positions say things like, “Just let me know if you need anything,” or they will ask, “How is everything going?” Both of these prompts will often get minimal responses, because many new teachers don’t want to bother other teachers with their problems, and they don’t want to look weak or incompetent. So asking more pointed questions like, “What questions do you have about the computer system?” or “How was their behavior on the first day?” shows that you are genuinely interested in a more detailed response. Offering to go out for coffee after school can also set the tone for a longer conversation. One more thing: Although I’m guessing it may be too late for this, you might have the students prepare some materials for their new teacher: booklets or websites with advice, classroom procedures, etc., and introducing themselves to the new teacher. It would not only provide the new teacher with valuable information, but it would also help students recognize their responsibility in helping the new teacher feel welcome. Good luck in your new position! Crystal, I am starting my first teaching position tomorrow as the school librarian. This is not my field. The retiring teacher did not leave anything for me. It would have helped to have a week or two of lesson plans. Even if it was just an outline of plans. It might be helpful to leave a teacher’s manual of your class describing key classroom procedures. Hope you enjoy your new position, good luck. I wish someone would have replied to you! Do you have any tips? I am in your exact position. I just graduated in December in Elementary Ed.. I’ll have a sub for the first couple days while I get situated, but I’m overwhelmed and have no guidance. This is Holly, A Customer Experience Manager with Cult of Pedagogy. While I don’t have specific advice for this exact situation, I do have a few Pinterest boards that may help ease the stress: School Library-Media, New Teacher Survival Pack, and New Teachers. Hope this helps–best of luck! Gabrielle, I know you posted this almost a year ago but I will be in that same position after I graduate next December. It may seem super early to start stressing but I would be lying if i said I haven’t been stressing since the day I realized I would begin teaching mid-year. How did it end up going for you? I’m replacing a teacher who is retiring mid year. How do I address the situation in general with my classes? Do I come out and say I might be doing things a little differently or do I just make changes and have them go with it? I want to come off as helpful and understanding of a different type of situation and excited to be there yet firm and authoritative. I sure wish your comment was answered! I have the same situation beginning Monday, and the same question you have. I really need to know how much is too much and so forth. I’ve already been told by administration that the teacher I’m replacing was not strong with management and discipline. The kids have been permitted to listen to music, use their phones, etc…. That’s not going to be OK with me, but I also don’t want to be the teacher they hate!! 1. I think it would be better to be too strict than not enough. It’s next to impossible to recover from being too lenient at the beginning, especially when you’re coming into an unstable situation. Keep in mind that there’s a big difference between being serious and being a jerk–avoid sarcasm, put-downs, or any behavior that embarrasses students. Take a look at my posts When a Student Hates You and Is Humiliation Part of Your Teaching Toolbox? for more on this. 2. As for explaining your approach, I would say just avoid comparing yourself to the other teacher entirely. If students ask something along the lines of “Are you going to do things like Mrs. ____ did?” just say that every teacher is different, and we all need to use a system that works for our individual personality. If Mrs. _____ did something that worked well, you may keep it, but other things will probably change. 3. If your administration permits it, don’t try to cover any content the first day. Just focus on spelling out what your expectations are, and getting to know students. If you have more specific questions, please let me know! I’m replacing my mentor teacher with whom I did my student teaching with in a few weeks. I will be teaching the same students I taught during student teaching in the fall semester. Considering they viewed me as a student teacher for those few months, what are some tips you could give me to establish my role as the actual classroom teacher? I already plan on using the same procedures and routines, as well as the same rules and consequences as we did last semester. Knowing the students, I expect a few of them to try to take advantage of my lack of experience. I don’t want to come in and rock the boat, just want to keep it sailing. That is exciting! I would say just try to be very consistent those first few weeks. Keep your demeanor pretty serious and businesslike without being a jerk about it. Also, I would start reading Michael Linsin’s Smart Classroom Management blog right away, too. I’m so glad I stumbled upon this!! I started a long term sub job for a second grade class, and while the first few weeks have gone fairly smoothly, today I came home feeling overwhelmed (benchmarks are coming up, in the middle of various assessments, parent conferences, etc) and this helped me breathe a bit and helped me realize it’s okay not to be planning extensive lessons. THANK YOU!!! Samantha, good luck to you! Come back and tell us how things are going! Tomorrow will be my first day as a teacher and my first day in a new school. I’m taking over for a beloved teacher who passed away suddenly a few weeks ago. The school I’ll be teaching at is an alternative school and I fear that I will not tread the mine well enough in managing their behaviors and the shootings associated with the emotional rollercoaster that they’ve been on. Any advice moving forward? Thanks for the great article! As I write this, you are probably well into your first day in this position. I hope it’s going well. My best advice would be for you to sit down with the school guidance counselor and anyone else in the building who has been working with these kids and get their advice. You have an opportunity to have a big impact on these students, whose sense of loss may be especially acute if they have had trouble building trusting relationships with adults in the past. Best of luck to you. Feel free to come back and tell us how things are going and what you’re learning about this unique situation. I’m feeling really grateful for this post and for all of the comments, it’s comforting to know I’m not alone. Since graduating from grad school I have been a long-term sub twice, and was laid off the second time. I am completely traumatized by being let go and haven’t taught since last fall. 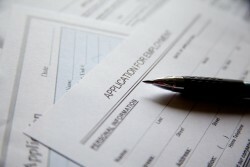 Finally I began applying for jobs and was shocked when I got hired last week to start this Wednesday (two days ago)! This week I have been observing the current teacher who will be leaving for maternity and returning in January. It’s a strange situation knowing that I am taking over for two months and then she will be back. She is loved by students and staff alike, and I am so scared of being the lame sub!! It’s really nice to know I’m not alone! I’ve written “Reasonable order, basic curriculum” on my planner to remind me to relax and breathe! I will be starting my very first teaching position ever this coming Monday Nov 7! I was approved to get my alternative teaching license in elementary ed here in NC. The last teacher left after the first week of school in August and they have had a sub ever since. Thank you so much for this article! I have actually been a stay at home mom for the past 7 years and have some background in teaching from almost 10 years ago so this shall be interesting! I am very excited, I now know what I want to do when I grow up! So I have that drive especially after experiencing awesome teachers my sons have had!!! I will be learning everyday and I am very lucky I was picked! Good luck to everyone we will all be ok! Kristin! I’m so excited for you. Have a great day on Monday!!! Thank you! I was hired to replace a teacher and begin this upcoming Monday. I am fortunate enough to be working side by side with the teacher I am replacing for a whole week, but I am still feeling overwhelmed (because really, a week flies by!) This article helped so much in getting it into my head to not expect to be able to do everything, as well, as gives me ideas of what I really need to be accomplishing over that first week. Thank you thank you thank you! I just graduated college in December, and I start as a replacement teacher next week! This has helped me organize my thoughts and make a little bit of a game plan for the first few days of class. I really can’t thank you enough! Jennifer, thank you so much for this article. I got hired on Monday as an elementary general music teacher. And although I have spent about two years substituting, the idea of having my own classroom is extremely daunting and exciting at the same time. However, the section in which you discuss the right mindset, and how to be practical, and not overshoot, gave me such relief. THANK YOU! I was hired a month into the school year last year and they socked me with five preps. That’s right — five different math classes. Some classes were intact, but most were formed by teachers kicking out the students that were causing them the biggest headaches. Keeping order in several of them wasn’t possible for veterans at this lower-level school and it wasn’t possible for me either. I began to succeed when I realized that the 80% of two classes would end up dropping out or becoming lower-level workers or criminals or both. About 25% of another class would end up that way. I didn’t create their disaster and I couldn’t cure it, so all I could do is try to have fun with them and teach the one or two who wanted to learn in the two worst classes and the 15 or so who wanted to learn in the third class that was most problematic. The other three classes had a mix of learners although they were no picnic either. At any time I might have things stolen from my desk, the kids might decide to stand on the desks, get into stupid street arguments or play one-on-one basketball with the trash can, crashing into walls etc. I ejected numerous students daily because telling me to f*** off doesn’t go over with me so well. What was funny was the way the administration would simultaneously admit that the school was a disaster if you spoke with them privately, while acting like nothing was wrong in meetings. But I survived my first year and actually can’t wait to teach again when I’m rehired somewhere. Despite my heroic efforts, the school (not surprisingly) experienced a lot of attrition and I was laid off. Your post has some very good advice. One thing I would add: If the prior teacher promised them they would get As for filling out mindless worksheets, guess what? You have to follow through. This article is so helpful. It is November and I am still applying to the teaching jobs that become available. I was actually hired and declined a job in a district that did not have curriculum because I was so worried about having time to prep for the long and short-term. I don’t regret my decision but I feel more prepared and less pressure to be the best teacher if a mid-year opportunity presents itself. Thank you so much! I was immediately drawn in to your article by the illustration – it was EXACTLY how I felt! The checklist is awesome. I start in 2 weeks and I was scrambling to get a list together but yours is awesome. Right now I am trying to get hold of what the kids have already learnt and what the forecast is for the first couple of weeks when I start. Hey, Sylvie! I’m one of the Customer Experience Managers with Cult of Pedagogy. Thanks so much for sharing — this is great to hear! Best of luck and have fun!!! Thanks so much for this article. I’m going to be starting my first teaching position, fresh out of college, in a few weeks. In fact, they really wanted me the day after graduation but I told them I definitely needed at least a week to meet with the 4th grade team and develop some sort of plan before heading in blind, which they granted me. I’ve interned in various schools, including 4th and loved it but student teaching is so much different than being by yourself and it’s a school I know nothing about so the idea of jumping in right before Christmas Break is daunting too me, as well as exciting. I suffer from an anxiety disorder so starting anything, or any sort of change is really rough on me but I want to try and prepare as much as possible so the anxiety won’t be too bad and this post, as well as the comments really gave me some good feedback and ideas to get started. So thank you for that. I work for Cult of Pedagogy and we’re really excited for you as you embark on this new journey! It also sounds like you’ve got a lot on your plate — getting started with teaching can be hard enough without any additional challenges, so our thoughts are with you. Here are some additional resources you may find helpful: Find Your Marigold: The One Essential Rule for New Teachers, the Diary of a First-Year Teacher series, and A 4-Part System for Getting to Know Your Students. Best Wishes! I just landed my first teaching job, and will begin with the start of the new semester. I am so all over the place and your article helped so much! So glad I found it, though I wonder how it will be different as I am an art teacher? There is so much that needs order and set up, particularly since I am K-8. So excited and thankful for your post!! Hi Hollie! I’m also Holly, and I work for Cult of Pedagogy. We don’t have too much particular to teaching art on the site, but we do have a Teaching Art Pinterest board. I was looking through it to see if there’s anything that might help answer your question, and I found this article from ArtfulArtsyAmy.com–I hope you find it helpful! Best of luck to you on your new adventure! Happy Holidays!! My name is Whitney, and I am beginning my teaching career mid-year as a second grade teacher! I will be there the first day when they come back from winter break. They have had zero to no consistency and an endless supply of substitute teachers. I was slightly hesitant to accept the position based on the warnings I received about the severity of the situation. Finding this article assured me that I CAN do this. Thank you so much for taking the time to write it. Looking forward to future posts and advice! Hi Whitney, I’m starting a sub position tomorrow that will probably be for the rest of the year if I want it. It is grade two as well. I’m the emergency substitute in a school on a reserve. I’m not a “real” teacher and I’m also 66 yrs old. I have done everything at the school from music to art to gym. It is kindergarten through grade 12 and I love being there but I’m really nervous about being in one class for two and a half months. This site is SO helpful. Hope to find out how it is going for you. That’s a good point that your co-workers are thrilled to have you. I can imagine the administrative strain a vacancy can produce. Substitute teachers exist but they don’t always have the same qualifications as a hired teacher. I begin a position in a first grade classroom tomorrow, about a month after school has started. The students have had subs and been split up between the other first grade classrooms for the past few weeks. I am very excited to start but have also been feeling all over the place on how to begin planning and prepping. I have taught pre-k in a certified position for the past 9 years, so I have experience, it is just overwhelming to think about starting a whole new class. I have very high expectations for myself and want everything to be perfect (even though I know that’s not likely when working with children). This article is definitely helping me consider the priorities and making me feel better about getting started. Thank you for these great thoughts and ideas!! Becky, this is really great to hear — good luck! Thank you for writing this wonderful article. It is a great resource for me. I just started a new teaching position at a school, after I left my school of three years and three months. My predecessor resigned. I’ve been teaching kindergarten for the entirety of my teaching career, but now I’m a third grade ELA teacher. I’m so excited about this new opportunity and a chance to work with students who are more independent than kindergarteners. Thankfully, my principal has given me a week to learn more about the school culture, curriculum, and logistics. I am literally using this article to compose my Day 1 priorities. So glad this has been helpful — best wishes!!! Thank you, thank you, thank you! I am blessed to have found the website, blog, podcast, email subscription! I’ve been hired to start teaching 8th graders in January 2018 and just googled and found you! It is amazing what the internet allows to happen. Even though this post was years ago-it is so relevant to me! Keep up the great work! Glad to hear this was helpful, Teresa! I am so happy that I just found this website. I have been a teacher for quite a while but I resigned because of burn out and low self-esteem. Well, after four months, I was rehired and I am taking a third grade teaching job and replacing a teacher who has resigned to become a therapist. My concern is that the students absolutely love her and they have all been crying since finding out that she will be leaving. I visited the classroom and the students all said how much they hated me and wished I would go away because they wanted to keep their old teacher. So, I walked away with a defeated attitude until I saw your website. It inspired me and gave me hope that I CAN do this. My only concern is that I want the students to like me but I don’t want to be a doormat either. I am generally a strict but fair teacher and I do not tolerate much. How can I get them to not look at me as the “Person who took their teacher’s job”. Hi Teresa! You’re going through a lot of transition in a short amount of time — glad to know that you’re finding inspiring resources on the site! Keep in mind that as excited as you are to get back in the classroom, it’s understandable that some of the kids will have a hard time letting their teacher go; just remember, it’s not personal, they are just sad (maybe even a little angry at her for leaving) and probably a bit scared of the unknown. I think it will be important to listen and validate their concerns and feelings. That doesn’t mean you need to “give in” and let go of good classroom management — it just means that you know how to respond when you recognize the kids are having a hard time with the transition. 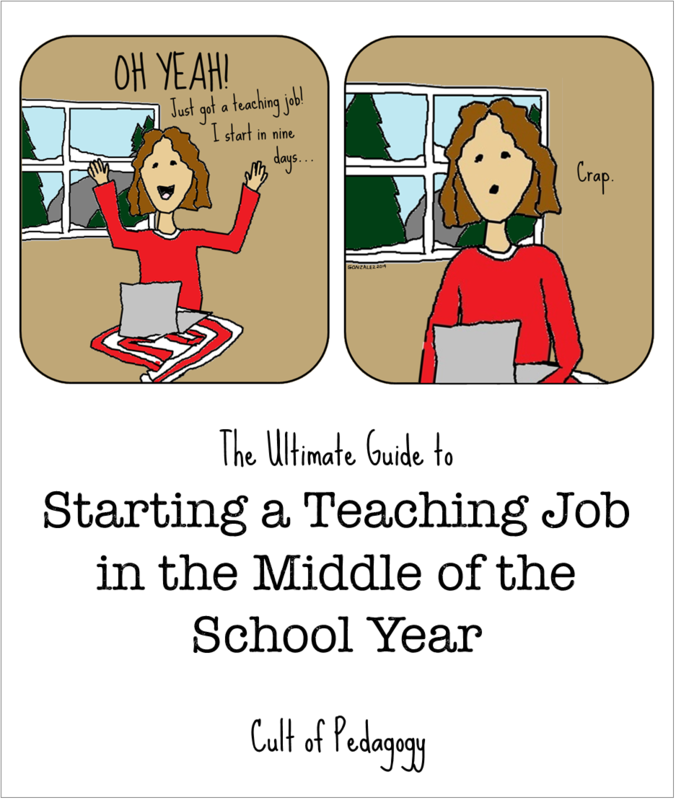 If you haven’t already, be sure to check out The Ultimate Guide to Starting a Teaching Job Mid-Year. In the post are lots of helpful tips and links to other resources. I also wouldn’t worry about the kids “liking” you…that will come as you take the time to get to know them and really build those relationships. Congratulations and best wishes! I just graduated college fifteen days ago and was hired to be a second grade teacher after their original teacher had to move an hour away and couldn’t swing the commute anymore. (Note: we just moved two and half hours away from where I student taught, into a new home, all while completing the hiring process for both of us.) This is my first teaching position and I am so excited, nervous, and ready to start. I feel that coming right out of college, I am seeking advice from anyone who has started midyear, just to get a gauge on what I need/should be doing. Thank you so much for this post, this website, and the library of free resources you offer! This is going to make this transition from student to teacher much more organized and *hopefully* more successful! Congratulations on graduating and your new teaching position! I’m so glad that you are finding value in Cult of Pedagogy and Jenn’s resources; I’ll be sure to let her know. Also, check out Jenn’s resources for first-year teachers: https://www.cultofpedagogy.com/tag/first-year-teachers/. Best of luck to you as you begin your new position! I am a new teacher starting my first teaching job mid-year after the students have only had substitutes and worksheets for subject matter that they haven’t learned for a whole quarter. The previous teacher took a leave of absence and was apparently also very slack in her classroom management. As I have come in and laid the rules down for what I will accept in my classroom., I am getting a whole lot of “When Ms So and So coming back?”, getting a lot of students who are willfully not doing what is required of them. I am exhausted already and it’s only been two weeks…HELP!! Stepping into a teaching job mid-year is overwhelming for sure, especially as a new teacher. I think it’s important to acknowledge this fact up front so you have an accurate perspective. Teaching is difficult but it’s not always going to be THIS difficult. Remember to simplify wherever possible, going for small wins and saving the big wins for later. It sounds like you have put in place some classroom rules and expectations, which is good. It’s also really important to work on building relationships with the students. You could begin by simply incorporating some icebreakers into your lessons and then carve out some time on a daily basis to continue to learn about your students. For more ideas on how to do this, I’d recommend checking out Jenn’s Pinterest board on Building Relationships with Students. Once you know your students better, you can look for ways to engage them in a lesson by making it fun, interesting, and relevant to them. This is another way to reduce negative behaviors in your classroom and support student learning. Above all, remember that you are not alone. Look for support and ideas from other teachers in your school. Seek out opportunities to talk with them and learn from them. Jenn addresses the importance of this in her post, Find Your Marigold. This will help you address the specific problems you have in class, gain new teaching strategies, and ultimately grow as a teacher so that you feel both effective and satisfied in your work. I started my first teaching job in January two years ago. I was lucky enough to find this post during that time, and it worked. Looking back on it, those students didn’t get a stellar learning experience in spring semester, but they got the bare minimum. Everything listed here is good advice. Now that I am training new teachers, I tell them I can tell someone is going to be successful if they are asking lots of questions. Always find somebody and ask the questions. Then organize the answers if you’re not naturally organized. Get yourself a system for holding and reminding you of your information and your required tasks. And good luck! You’ll make it! You’ll probably shed tears on at least one day, but know that most of us have been there/done that and every year is better and easier. Very happy i found this, very helpful! I’m 24 and starting my career as a teacher tomorrow. The teacher i am replacing was fired in December and has been replaced with 3 or 4 different subs over the last few month… Ill definitely have to keep in mind to set the bar low for myself and to not be afraid to ask for help. Thanks! Glad to hear this helped – Best of luck!